Start your bathroom renovations with visions of tranquillity and wellness in mind. 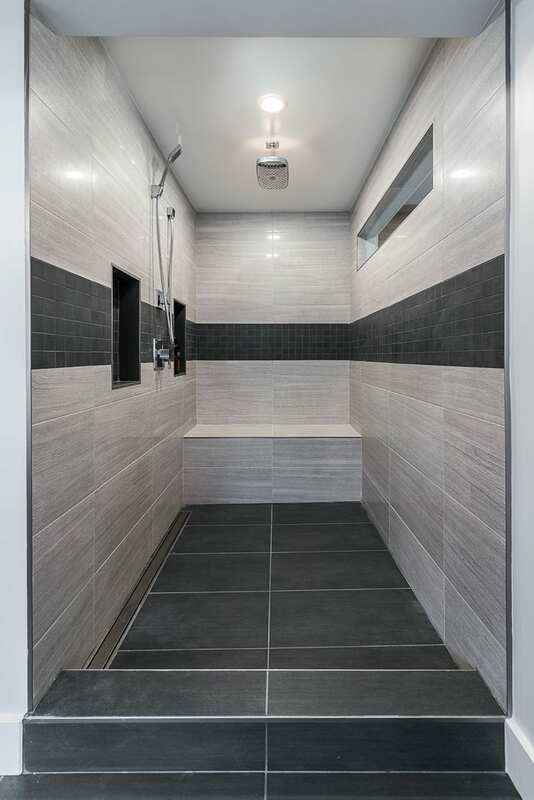 With that, bathrooms still need to be functional, with adequate space and a well-planned storage system, a shower and tub set-up that mirrors your needs, and an environment where you can prepare for a night on the town or a relaxing atmosphere you can spend the night in. 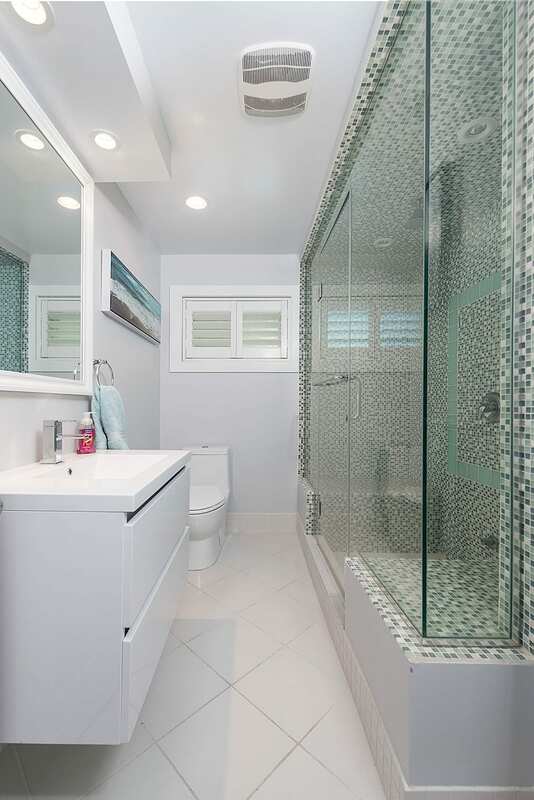 Design, plan and build a bathroom where you can relax, breath easy and prepare to take life as it comes. The perfect compliment for lighter paint colours, brass and gold plumbing fixtures adding the perfect amount of luxury, depth and dimension to any space. Create a feeling of luxury and relaxation by using original fixtures and creative lighting techniques. Light bars, walls sconces and pendants can all make a stunning addition. 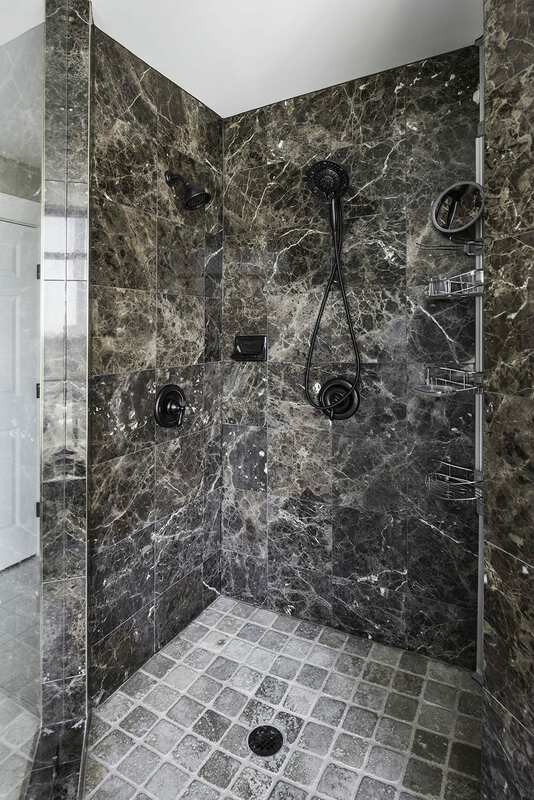 Add some drama to your bathroom with tile accents to make a gorgeous impact on the shower, sink, wall or backsplash. 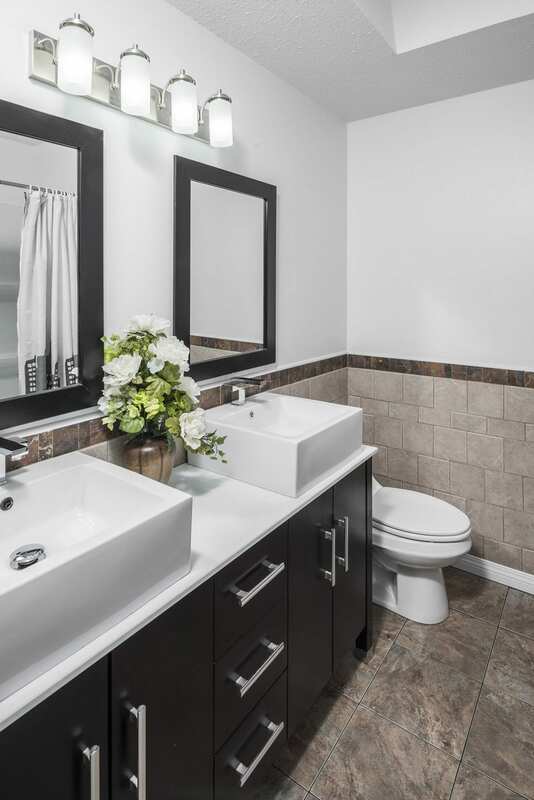 Like in the kitchen, colour palettes darker in tone are making a come back, this includes, matte black plumbing fixtures, dark tile flooring as well as accent walls. The key is to make efficient use of every square inch. 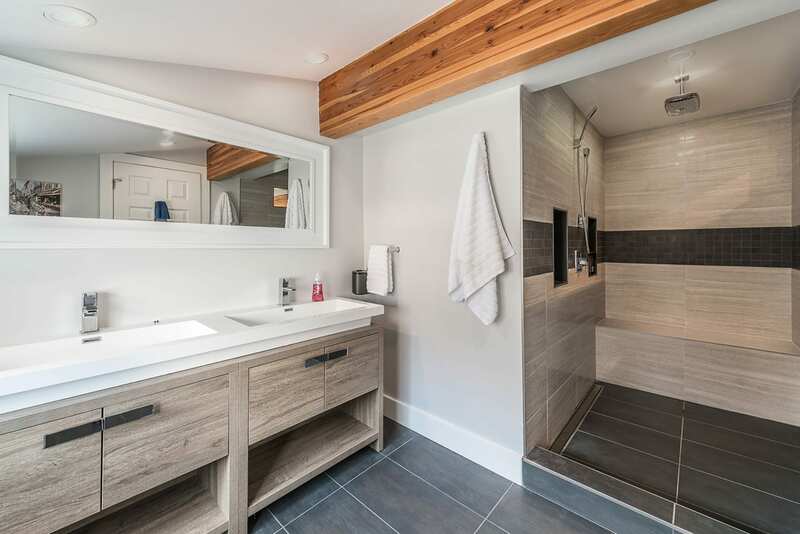 Smaller, uniquely designed sinks and toilets pair nicely with a space-saving walk-in shower. A place to pamper, a place to retreat: boost the vitality of your bathroom with an array of solutions. It is vital to plan every last possible detail to make the most of your functional space and also to boost your investment in the long-run. Before we start planning, it’s important to think about your household’s lifestyle and how your renovation will satisfy everyone’s needs. Is the bathroom for adults, children or both? This will help you decide what storage and fixtures that are needed. Perhaps someone in the household has mobility issues, so specialized equipment and handles need to be added for safety and comfort. Darren’s bathroom was outdated and was badly in need of a facelift. The shower was way too small for her household needs, there was only a single sink and vanity, and there was nowhere to store her linens. The first thing we did was demo the entire bathroom, pushed out a wall and made it bigger. We upgraded all the plumbing and electrical. They where in terrible shape and brought everything up to code. 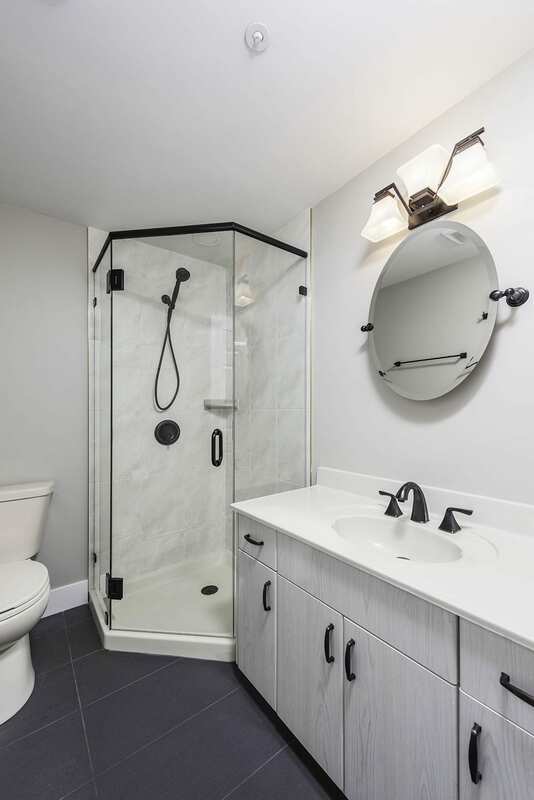 We added a double vanity and a large, new walk-in shower with trackless doors.